Missouri State’s 11th president declined a salary increase for the 2018-19 year. 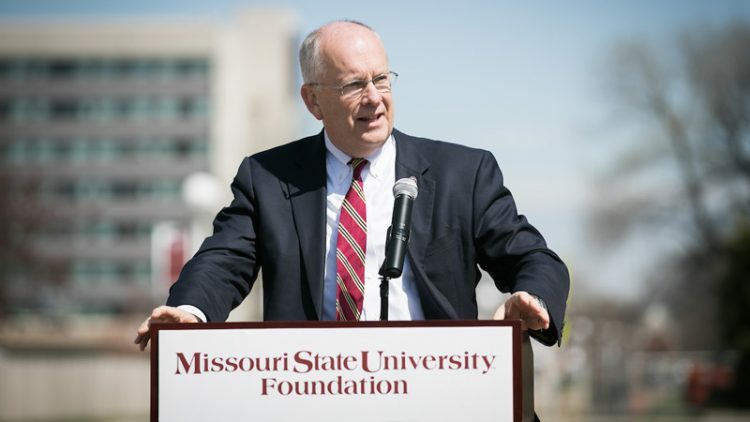 The Missouri State University Board of Governors has extended the employment contract of President Clifton M. “Clif” Smart III to June 30, 2026 – a 4-year extension of his existing contract. The board completes its evaluation each year during the summer months following an annual self-assessment presented by Smart at the June Board meeting. Despite a favorable evaluation, Smart will not receive a salary increase for the 2018-19 year. His current base salary is $334,981. Smart has similarly declined raises in past years when faculty and staff did not receive salary increases. The contract extension raises Smart’s salary to no less than $380,000 effective July 1, 2022. Smart currently earns $50,000 each year as part of a deferred compensation plan. This will fully vest in 2022. Effective June 30, 2023, Smart will be eligible to earn an annual cash retention bonus of $50,000, in lieu of deferred compensation. Smart joined Missouri State as general counsel on Dec. 1, 2007, after a successful 20-year legal career. He was named interim president June 27, 2011, and became the 11th president of Missouri State on Oct. 16, 2012. The Missouri Open Meetings, Open Records law, also known as the Sunshine Law, requires that personnel decisions made in executive session be reported within 72 hours.